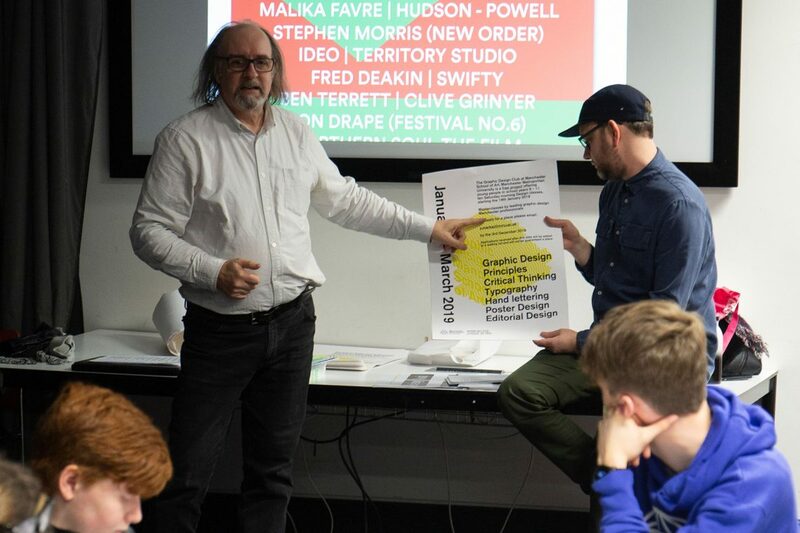 Education is rooted firmly in the foundations of our organisation and in the last week we have started two exciting initiatives with our partners Manchester School of Art and University of Salford. We spent a Saturday lunch with a group of 11-15 year olds in a new 8 week course called ‘Graphic Design Club’ run by The Manchester School of Art. This club is entirely free and offers masterclasses by leading graphic design professionals to (hopefully) the designers of the future. We couldn’t be more thrilled to see a full class and course for something we’re so passionate about especially at this age, design skills are worth £206bn to the UK and their value is growing at a faster rate than the wider economy. We ran through our own careers and pathways from education to design but also explained why it’s so important for them to engage in design with the incredible opportunities awaiting them if they do. We left the class after setting a poster brief and we will be checking up on them in the coming weeks with a view to display their works as part of DM19. A big thanks to Elle Simms, Sara Merkaj and Karla Cotic for inviting us and organising such an important class. To find out more about the class and MSA Creative Futures follow their Instagram. A big part of what we do at Design Manchester is create a platform for new creatives to showcase alongside globally respected work and to do that we work with an array of commercial partners. Peel Land & Property are part of The Peel Group, a local but globally recognised developer with over £6.6Bn in assets. An important part of PL&P is MediaCityUK home to the BBC, ITV, University of Salford and countless other creative companies who contribute greatly to local creative employment. 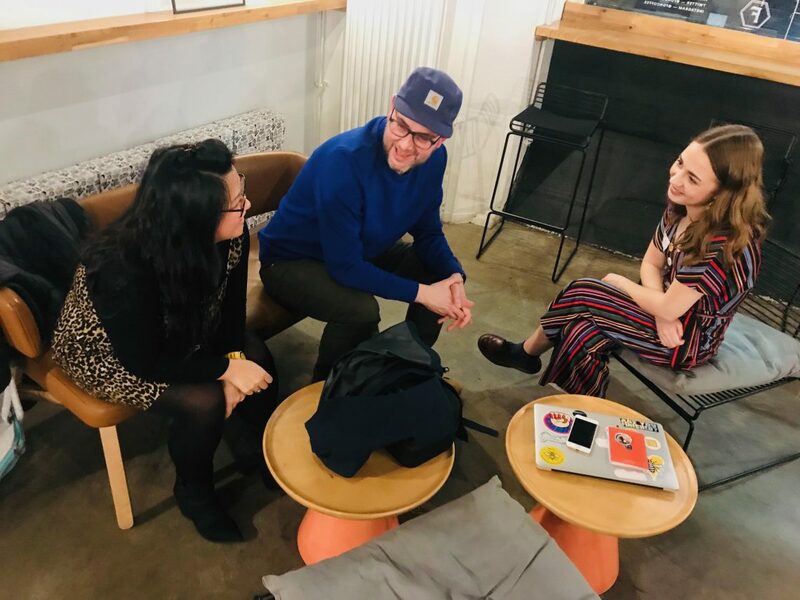 We were approached by Zoe Nixon who heads up the creative team at Peel Land & Property with an idea to give University of Salford students spaces within their buildings for artworks and to create a platform for these students come graduation. 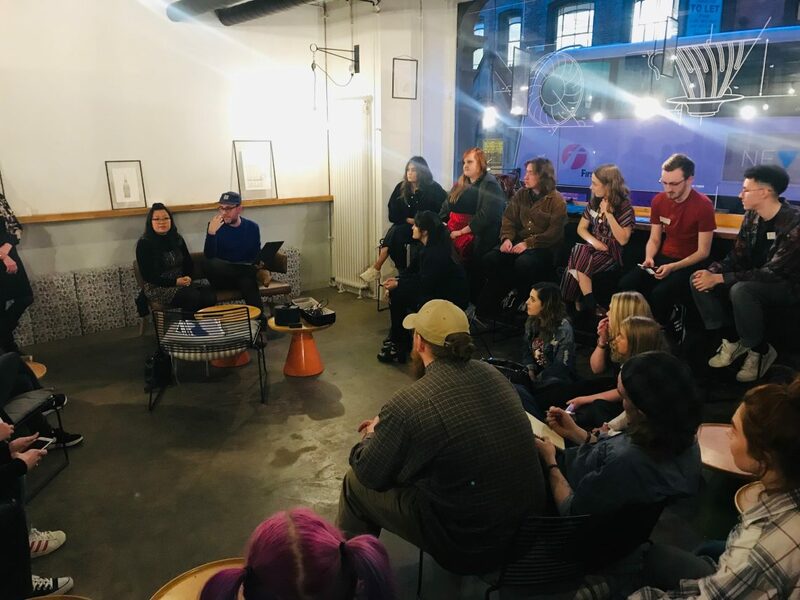 The university is close to Zoe as she alongside our own Festival Co-Founder John Owens are Alumni and actually studied together, so creating an opportunity to come back and set a brief but also give 1-2-1 portfolio and work sessions. Follow the progress of the graphic students on their twitter account. Thanks to Zoe Nixon and Jo Greenhalgh (UoS) for making this happen and Sarah Shimwell for the help and photos.